This beautiful wedding photography service started at the exclusive Argentina Residenza Style Hotel in Rome with the bridal preparation. Wonderfully executed by the skillful hands of Annartstyle make up. Once ready the bride was just stunning and we began the photo shoot thanks to the WheretoRome car service. Our first destination was the Roman Forum with the spectacular view over the ancient roman remains. From there we ambitiously walked over to Piazza del Campidoglio. Taking pictures on the beautiful staircase leading to the town hall marriage office. Then down below on the other side of the forum to photograph a different view of it. Our last portrait pictures were taken underneath the Severino arc. After hopping back in the car we headed for the Roman Colosseum. 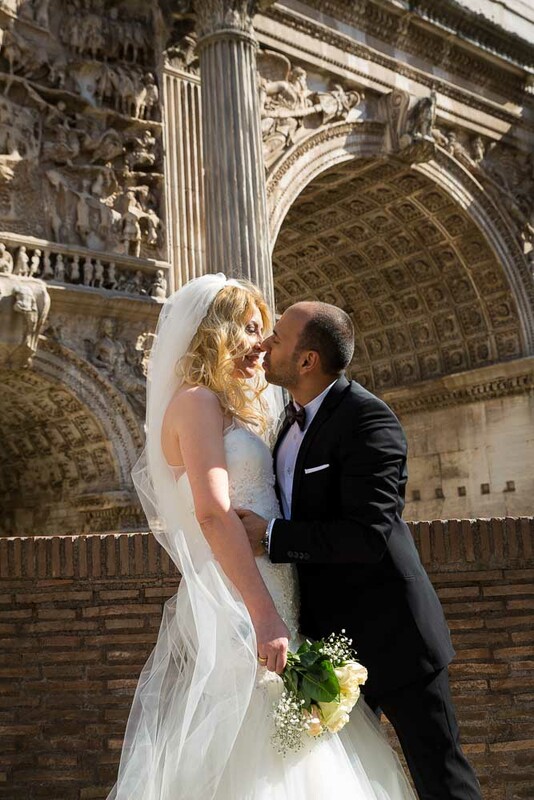 To snap some romantic pictures of the bride and groom with this gigantic and iconic monument in the background. It was not easy to dodge all the bystanders but I think we managed to pull off some nice imagery! Then we moved over to Piazza di Spagna skipping the Trevi fountain as it is still undergoing heavy restoration works. 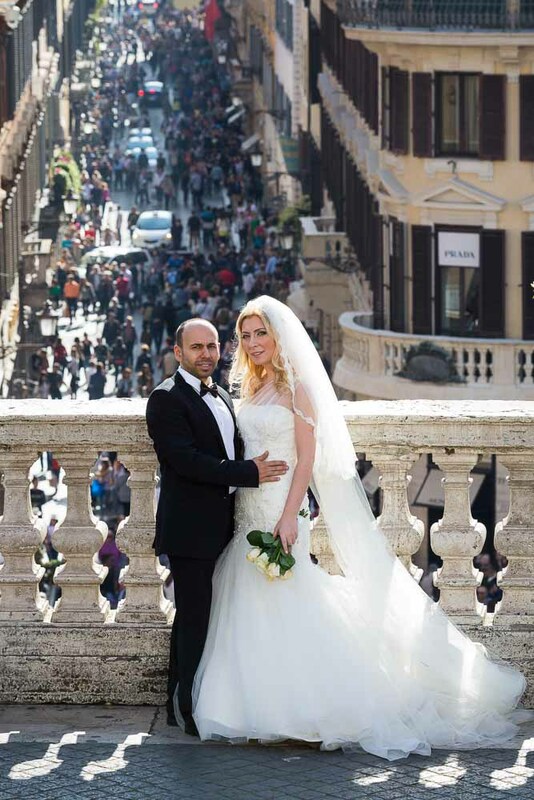 The light at the Spanish steps was just great and even though the square was crowded we were able to achieve some really nice wedding pictures. Then Parco del Pincio was one of our final stops with a unique and breathtaking view over the roman skyline. The final image was taken in Piazza del Popolo were we achieved the highest level of collaboration from all the people we encountered during our photography session! 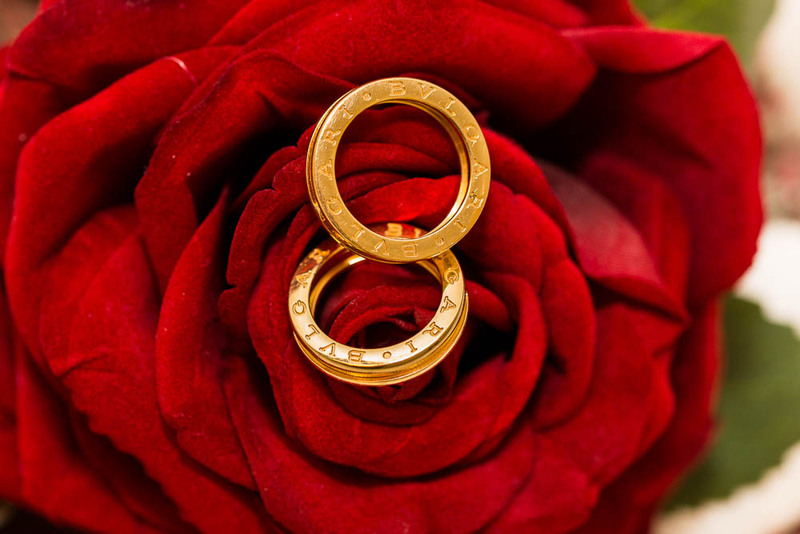 Check out the portfolio image collection for more selected images. 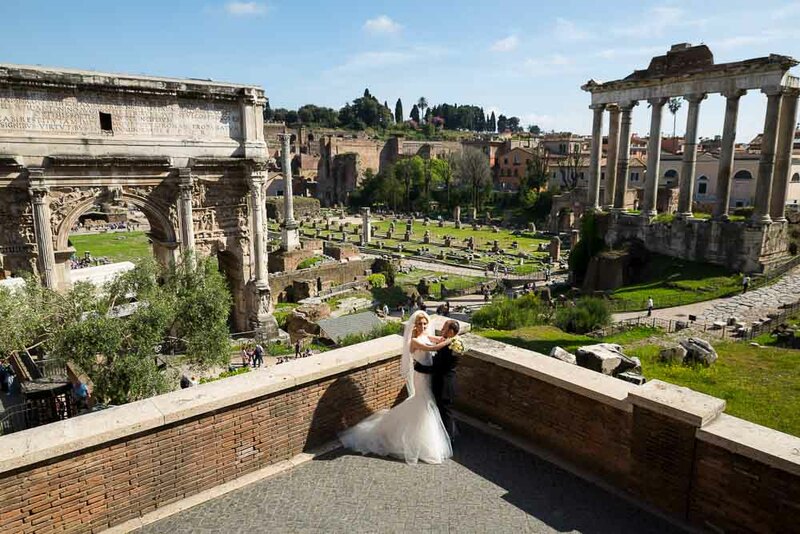 A spectacular wedding photography session in Rome. 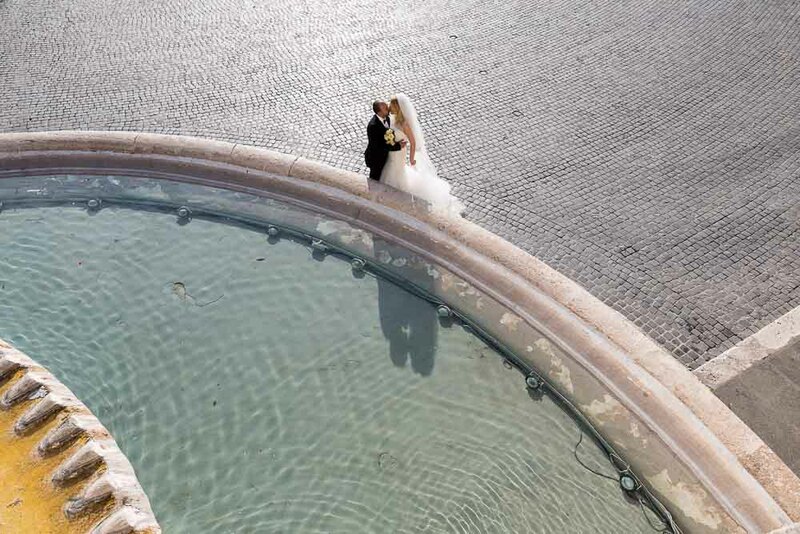 Travelling from place to place by car capturing fantastic wedding pictures in Italy.